Using PowerPoint as an aid - not a crutch! This Masterclass will cover the tools and techniques of public speaking and will provide delegates with the technical skills to make powerful and effective presentations to audiences at conferences, seminars and internal meetings within the financial industry. Such skills are critical even when presenting to audiences filled with market professionals. It is designed for anyone in Finance and Investment who is tasked with giving a presentation, or speaking opportunity - and who wants to truly engage their audience and feel good about doing so and can be tailored to specific financial markets. Ian’s Masterclass Series Two – Professional Public Speaking and Presentation Skills are tailored to non-market specific audiences and tailored to a range of management levels. Ian is an engaging and experienced facilitator and trainer. He will explore the anxieties about public speaking that can affect your performance and confidence. Learn how to overcome these and how to apply the technical skills needed to be a powerful and effective presenter. Delegates will be asked to prepare a short presentation, to be practiced and delivered during the course. Feedback will be given to each delegate individually, to build confidence and enhance your own style and ensure your presentation format, technique and delivery is as effective as it can be. The aim of the course is to help turn complex finance language into plain English by ensuring you become skilled at tailoring presentation to your audience. We will review and critique established speakers and speeches and incorporate this with learning the techniques behind successful speaking and personal presentation. Another key element of the course also focuses on you as an individual and the course invites you to challenge your self-perception and gain valuable feedback. Your speaking style will be appraised for the positives while we help identify and eliminate any negatives. You will also learn how to make the most of your voice, tone, eyes and overall body language. You The Speaker: Your presentation - how to make it work through the critique you will receive from the trainer and your peers; suing the strengths and overcoming the weaknesses of your natural voice; body language - open or closed, confident or guarded; the power of silence and silence of power; common fears and questions; making first and last impressions count and be remembered; using your sense of humour without being a comedian; key rules in opening and closing; impromptu presentation and remarks. Speaking within Finance: Tools for the speaker - what to do with what you’ve learnt? Build rapport and engage your audience; highlight a “key point”; audiences drift away every 9 minutes – how to recover them? When and how to use aids correctly; projecting your voice appropriately; voice techniques; pace, timing, pitch and posture - and how this influences engagement; making boring statistics meaningful;, answering questions properly; how to challenge without being rude? Media: How to chair conferences? Dealing with the press and get accurately quoted; getting on TV, Radio, Digital and Social Mediums – adapting your presentation; being an effective panellist. Ian Morley is one of the leading presenters of financial services. He has chaired some of the most prestigious conferences worldwide, and is frequently in demand as a speaker, panellist or debater at industry events. He has been a regular guest on BBC, CNN and CNBC and publishes articles in numerous financial journals and newspapers, including The Times, Financial Times and his book, Morley’s Laws of Business and Fund Management is often quoted in publications and presentations. 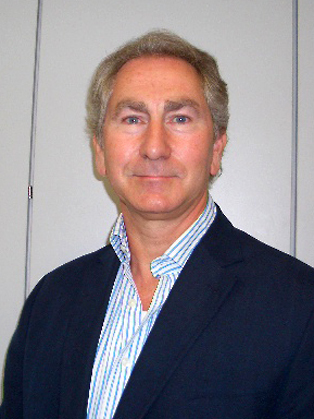 He is Chairman of Wentworth Hall Consultancy and a Senior Consultant at Allenbridge Epic Investment Advisers. He is a Director of Poggio della Madonna, and Condor Trade. He is a Consultant to Castellain Capital, and Special Consultant to the IOM Funds Management Association. Previous roles include Head of Derivatives and Quantitative Fund Management at AIB Govett from 1997 to 2000, Managing Director of Rudolf Wolff Fund Management, and European Director of Managed Futures at Lehman Brothers. Ian Morley was the founding Chairman of The Alternative Investment Management Association (AIMA). He works closely with a number of trade and regulatory organisations and has served on various UK and international groups involved with indexation, derivatives and alternative asset management. He is a member of Grays Inn, The Institute of Directors, Foreign Press Association and Securities Institute, and has advised the Bank of England, the Central Bank of Ireland, the OECD, the EU, and other international institutions about the managed derivatives and hedge fund industry. He is also an Industrial Fellow at Kingston University. Furthermore, he has lectured worldwide on derivatives and alternative investments. Please enquire and we will do our best to meet with your requirements.